Finally the new pre-series Microlino has been unveiled in Zurich by our joint venture partner: Micro, World leader in micro-mobility. he had a concept design and a prototype, but above all he had a dream and we, complementarily, had the experience and know how to make it happen. I proposed a 50/50 joint venture between Tazzari EV and Micro Mobility because I saw huge potential in both partner and product idea. Wim was immediately enthusiastic about having a real partner and not just a know-how and technology supplier, therefore in spring 2016 we started the Microlino by Tazzari EV project. 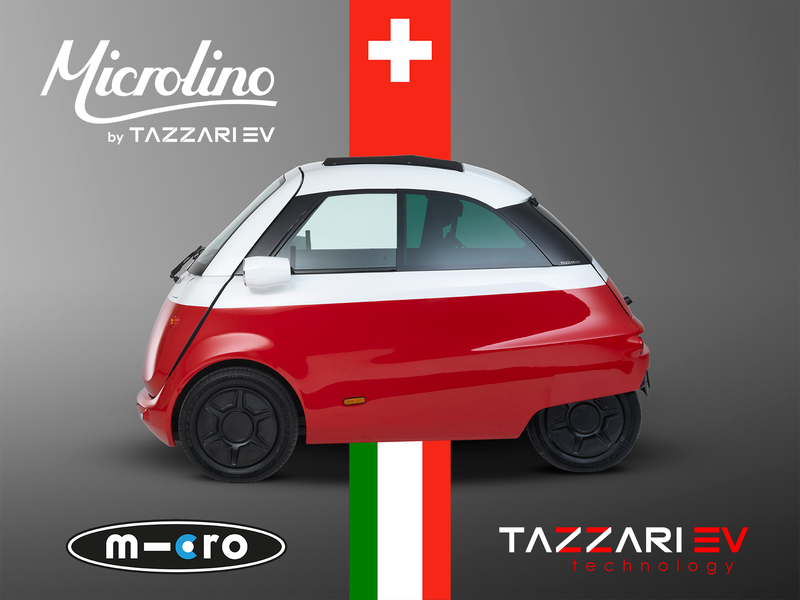 Today, after about 20 months, being in Zurich for the unveiling of Microlino preseries has made me and the whole Tazzari EV Technology Team really proud, after all these many months of work in the design and technical development of the product. Production will be in Imola, Italy, at the Tazzari Group premises, but for distant countries we are selecting together with Micro Mobility, the licensees partners for the assembly and sales exclusively in their respective territories and markets.